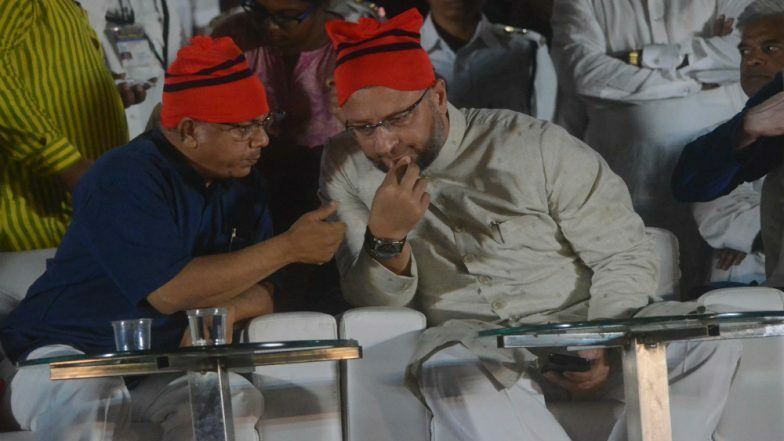 Lok Sabha Elections 2019: How Serious a Challenge Can Prakash Ambedkar-Asaduddin Owaisi Combine Pose to BJP-Shiv Sena in Maharashtra? Mumbai, April 14: How much challenge will the alliance between Dalit leader Prakash Ambedkars Vanchit Bahujan Aghadi (VBA) and Assaddudin Owaisis All India Majlis-e-Ittehadul Muslimeen (AIMIM) pose to the ruling BJP-Shiv Sena combine in the Lok Sabha elections in Maharashtra? The alliance of the two parties representing Dalits and Muslims, respectively, being experimented with for the first time in Maharashtra, has declared that it will be contesting all the 48 Lok Sabha seats in the state. Lok Sabha Elections 2019: Prakash Ambedkar Jolts Congress, Set to Contest From Solapur.